I want to give back to people less fortunate than I am. For God has provided in most of our lives the essential needs to live. However, 1 billion people people in the world today do not have access to clean water. Here is our chance to affect a community both physically and spiritually to help fill their need. 1 billion isn't just a number, but actual families living day in and day out, walking 4 hours to collect any dirty water they can access. 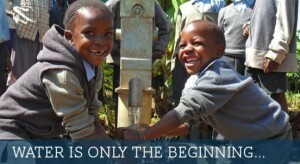 I was able to raise money for one well, and here is an opportunity to raise money for a second well. 01/07/14 Elizabeth Wang $23.00 Way to go, Alex! Best wishes on your second water project! May God bless your heart! 12/30/13 Charles Baily $115.00 Good job Alex. 12/29/13 J G Janiszewski $46.00 So glad to be able to participate with you in this project!